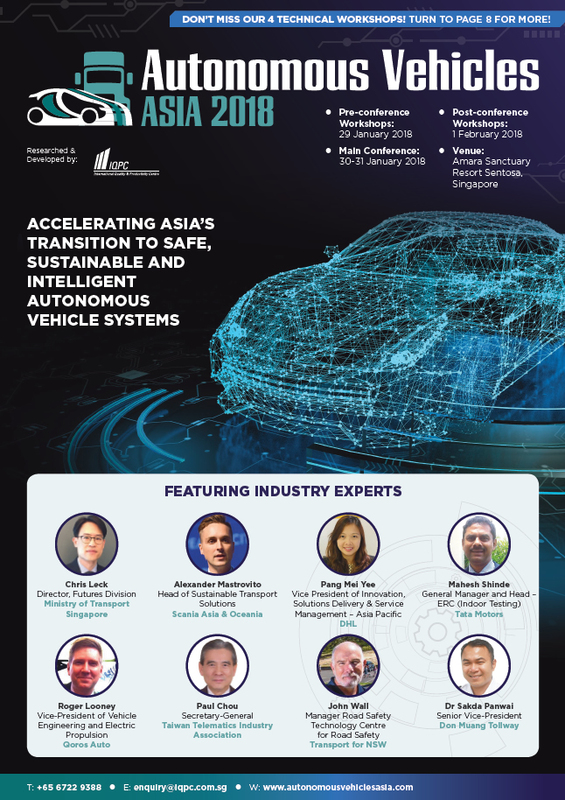 The 2nd Autonomous Vehicles Asia Summit 2018 is the only Asian-focused event gathering the top minds of autonomous vehicles industry in the region. It is also one of the few events dedicated to position your company among all of the motivated autonomous vehicles leaders who need solutions for their autonomous vehicles programmes now. If your company has a solution that can benefit this market, please contact us to how your company can get involved.